Shanghai is a fast-paced, modern metropolis. Its huge skyscrapers shape one of the most beautiful skylines I’ve seen so far, particularly impressive night time. Each and every district is to be discovered, with their peculiarities and local aspects, jealously kept and proudly celebrated by locals despite globalisation. Between modernity and tradition, here are some of the best things to do in Shanghai. With a long history, many restaurants to try, museums to visit and shopping to do, it’s one of the favourite destinations among foreign tourists and expats. 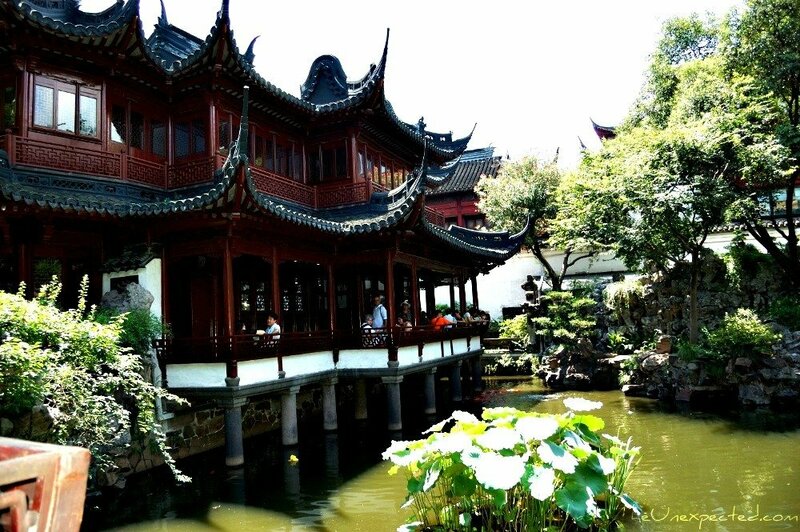 These gardens are usually known among expats as “Yu Yuan Garden”. The denomination is actually incorrect because the Chinese word yuan (园) already means “garden”, so it would be more appropriate to say either “Yu Garden” or “Yu Yuan” (豫园). 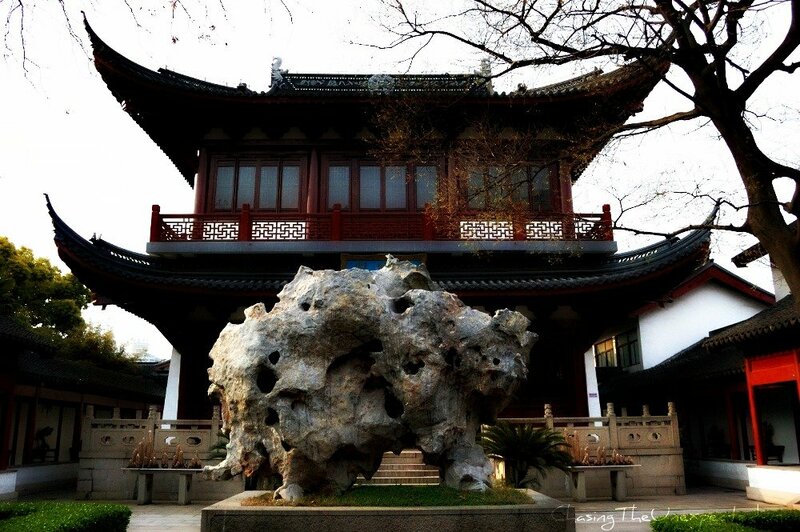 Located in the heart of the Old City, 16th-century Yu Yuan is a perfect example of Chinese gardening style, with large use of stones in their natural shape, as Nature’s gift to men. Not far from the Bund, Yu Yuan is the only garden left in Shanghai from the Ming Dynasty. It’s absolutely beautiful and makes it for a lovely day out in Shanghai. Wandering the alleys of Yu Yuan, you can do some shopping, enjoy the traditional Chinese architecture, the bridges, and have some delicious Chinese food. I loved the dumplings there, they make them in many different versions. How to get to Yu Yuan Garden: The closest metro station is Yu Yuan (豫园站) on line 10, Exit 1. Opening hours of Yu Yuan Garden: 8.30 am-4.45 pm. Entrance fee to Yu Yuan Garden: 30 CNY July 1st-August 31st and December 1st-March 31st; 40 CNY April 1st-June 30th and September 1st-November 30th. Free for children younger than 6. Located in the central People’s Square, Shanghai Museum enters the list of top things to do in Shanghai with full rights. The four floors of this top-notch museum in Shanghai will take you on a journey to discover the rich and fascinating Chinese culture, the diversity of their ethnic groups, their long history, and charming art, handicraft, and calligraphy. Address of Shanghai Museum: People’s Square. Opening hours of Shanghai Museum: Daily 9 am-5 pm (last entry at 4 pm); closed on Monday, unless it’s a public holiday. Entrance fee to Shanghai Museum: Free, but you will still need to get a ticket issued. 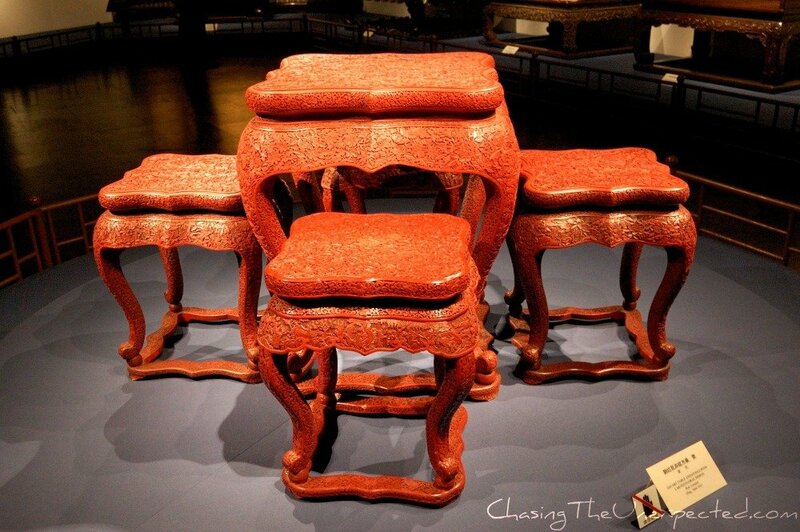 READ MORE: Check out my full experience visiting Shanghai Museum. Jade Buddha Temple, (Yu Fo Si, 玉佛寺), is a traditional haven in Putuo western district. A pretty popular Buddhist temple, here monks and faithful praying are not a rare sight. Today’s temple was built in 1928 after the old temple housing the two jade Buddha statues brought to Shanghai in 1882 had been destroyed during the revolution that put an end to the Qing Dynasty. Precious porcelain artwork, the two jade Buddhas are carved out of huge, sparkling white jade pieces. The emerald-encrusted Sitting Buddha is 190-cm-high and represented in the meditation position, while the 96-cm-long Reclining Buddha is portrayed in the resting position with the right hand supporting his head, the position representing the passage to the other world. Even though the temple is not too old, it’s a great example of Chinese traditional architectural style. There are several halls to be visited and whether you are a Buddhist follower or not, it’s a great experience and one of the best places to visit in Shanghai. 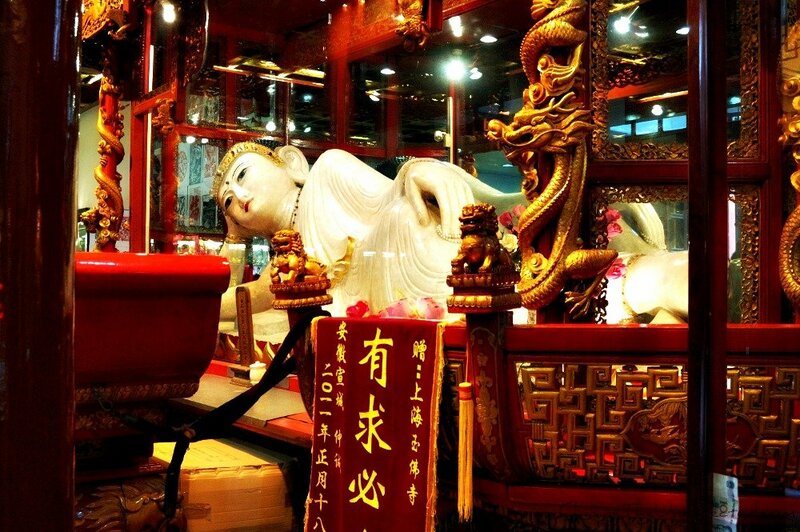 Opening hours of Shanghai Jade Buddha Temple: Daily 8 am-5 pm, at 4.30 pm is the last admission. Entry fee for Shanghai Jade Buddha Temple: 20 CNY, plus an extra fee of 10 CNY to see the Buddha statues. READ MORE: Discover my experience visiting Shanghai’s Jade Buddha Temple. Definitely one of the most famous Buddhist temples in Shanghai, Jing’an Temple is located on West Nanjing Road. Dating back to the 3rd century, when it was named Hudu Chongyuan Temple, and moved to the site where it still stands in the 12th century, it was renamed Jing’an by a local calligrapher in 1945. The original structure of this famous Buddhist worship place has been destroyed by a fire in 1972. In 1984, the restoration/reconstruction works began and in 1990 the temple was reopened to the public. A beautiful courtyard packed with praying crowds is framed by the different halls of the temple, such as the Hall of Heavenly Kings and the Three-Sage Hall. Be it for its very central location, be it for its historic importance, Jing’an Temple is definitely one of the top Shanghai tourist attractions. Address of Jing’An Temple: 1686, West Nanjing Road. How to reach Jing’an Temple in Shanghai: Metro lines 2 or 7, Jing’an Temple Station, Exit 1. Opening hours of Shanghai Jing’An Temple: Daily 7.30 am-5 pm except on the first two weeks of the lunar month when it’s open 4.30 am- 5 pm. Entrance fee to Shanghai Jing’An Temple: Always CNY50, CNY100 from the 1st to 15th days in the first lunar month. A beautiful temple devoted to Chinese philosopher Confucius, this is often neglected by tourists who are inevitably captivated by the lights and opulence of Shanghai’s modern districts and state-of-the-art architecture. If you do manage to spare some time for the Confucius Temple, though, I assure you, you won’t regret it. A beautiful example of Chinese traditional architecture, with a rich presence of rocks in their natural shape, if you are still wondering what to see in Shanghai, this is it. Originally built between 1368 and 1398 to worship Confucius, the Chinese great philosopher and educator, and the founder of the Confucianism, this temple has been regarded as one of the top learning institutions in Shanghai and China. Famous for being the ‘Treasure House of Stone Carving Art’, at Confucius Temple you can admire its ancient buildings, beautiful courtyards and the many stone carvings, including Zunjing Pagoda, Dacheng Hall, and Minlun Hall. Address of Confucius Temple in Shanghai: 215, Wenmiao Road. How to reach Confucius Temple in Shanghai: Metro lines 8 or 10, Laoximen Station. Take Exit 7 and walk along Zhonghua Road. Wenmiao Road is one of the back streets. Opening hours of Confucius Temple in Shanghai: Daily 9 am-5 pm. Entrance fee for Shanghai Confucius Temple: 10 CNY. READ MORE: Check out my experience visiting Shanghai’s Confucius Temple. With its many bars, cafes, restaurants, galleries, and shops selling local handicraft, TianZiFang, also spelt Tian Zi Fang (田子坊) in Shanghai’s neighbourhood known as French Concession due to its former status of foreign settlement when the city was under British, American and French control. The first settlement to be established was the British in 1845, followed by the American in 1848 and the French in 1849. Although the foreign concessions ended during the Japanese occupation, they were officially dismantled in 1943. Populated with artists, photographers, and designers, many of whom have opened their own studio, TianZiFang hosts hip boutiques selling everything from scarves to jewellery, cosy cafes, and restaurants. This cultural neighbourhood is a tangle of picturesque and narrow alleys that make for a great subject for street photography. Here you can spend an afternoon in a village-like atmosphere in the heart of Shanghai. How to get to Shanghai’s French Concession: Metro line 1 (red), South Shaanxi Road station. 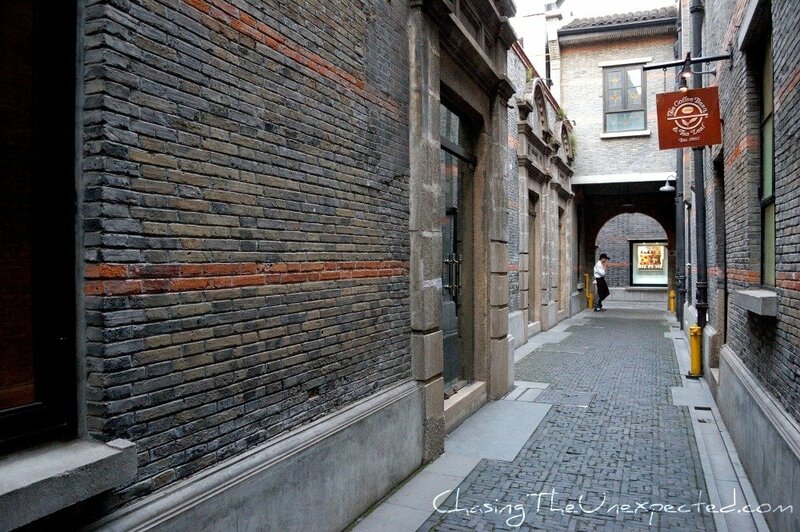 The lovely Xintiandi district as one of the top things to do in Shanghai. The lovely Xintiandi is located in the city centre and is one of the things to see in Shanghai. Adored by foreigners and locals alike, here you can find foreign-style restaurants and bars, and monuments highlighting the most important moments of China’s modern history. It is one of the urban attractions that holds the historical and cultural legacies of the city. A pedestrian street mixed with Shimen and modern architecture, Xintiandi is special because of its structural concept. The interior of Xintiandi embodies a completely different world of international galleries, bars and cafes, boutiques, and restaurants. When you step into it, you will get the taste of both Shanghai in the 1930s and the modern lifestyle of its 21st-century urban architecture. The Shikumen buildings date back to mid-1800’s and were rebuilt in 1997 since they could no longer satisfy the locals’ demands. Residential buildings for local Chinese in the early 1900s, they now represent modern Shanghai history and culture. Xintiandi Di is divided into two parts: the modern architecture enriched with Shikumen-style features in the south and the old Shikumen structure in the northern part. How to get to Shanghai’s Xintiandi: Bus 146 and get off at Xingye Road Madang Road Station, or bus 781. You can also go by subway: Metro line 1 (South Huangpi Rd. Station, Exit 3 and walk southwards along South Huangpi Road), Metro line 10 (Xintiandi Station, Exit 6 to Madang Road, then walk a bit to the north), Metro line 13 (Xin Tian Di Station). 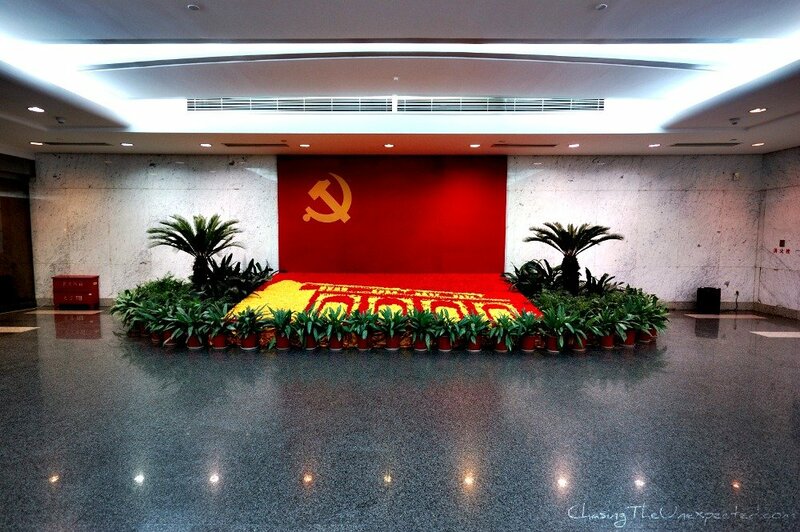 Visiting the residences of notable Communists such as Zhou Enlai and Sun Yat-sen, as well as the Site of the 1st National Congress of The CCP, is what to do in Shanghai if you are interested in modern history. These are all the places where decisions were made and where the people that had a saying lived and worked. You will see their personal objects and documents from early 20th century. READ MORE: Check out my full article for more information on Shanghai’s Communist sites. From the so-called “fake markets” to the State-run factories and workshops to the glitzy department stores in the city centre, shopping is one of the best things to do in Shanghai. If you have some good cash to fork out, that is. If you are looking into buying some gifts from China to take home with you, you will really be spoilt for choice. Traditional jade jewellery and decorations, pearl necklaces and earrings, a beautiful tea set, electronics devices are only some of the most common gifts. In the many shops you will definitely find something for everyone in your family. READ MORE: If you are shopping in China, you definitely need to know how to bargain in Chinese. This was actually my main reason to visit Shanghai. I wanted to spend a year learning Chinese. Or at least as much Mandarin as I could master in such a little time. Life as a student in Shanghai is great. You will meet the most different range of people and nationalities in Chinese universities and you will have the chance to explore the city. While Mandarin Chinese is undoubtedly hard, you will be motivated to study more once you see how welcoming the locals are when they see the efforts you are making in learning their language. Plus, learning Chinese will get you also closer to understanding the local culture. READ MORE: Check out my experience of studying Chinese in Shanghai. Located in the fashionable Pudong District, Shanghai Ocean Aquarium draws a million visitors every year. It is one of the longest underwater tunnels in the world where visitors can experience the open ocean. You will see many different species of fishes, sharks, turtles as well as color changing jellyfish and many other species divided by continent. Address of Shanghai Ocean Aquarium: 1388 Lujiazui Ring Rd. How to reach Shanghai Ocean Aquarium: Metro line 2, Lujiazui Station, exit 1. Opening hours of Shanghai Ocean Aquarium: 9 am-6 pm (until 9 pm in August and during holidays). Entrance fee to Shanghai Ocean Aquarium: 160 CNY for adults, 110 CNY for children between 100 and 140 cm tall, free for children below 1 mt. 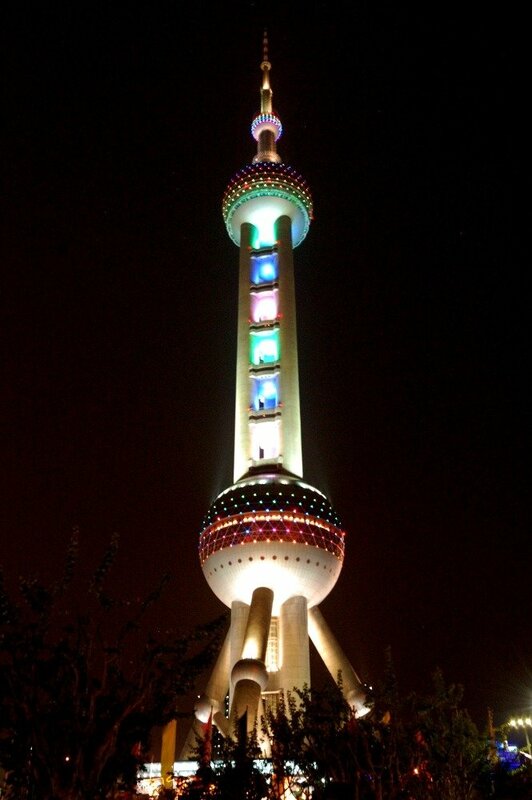 Attracting around 3 million visitors every year, the Oriental Pearl TV Tower is a great work of state-of-the-art architecture constructed with spheres of varying sizes, all connected by three big columns. Located on Century Avenue in Shanghai’s Pudong district, Oriental Pearl TV Tower offers several sightseeing terraces and opportunities and hosts Shanghai Municipal History Museum, a Space Capsule, and a revolving restaurant. This beautiful tower is what mainly defines Pudong’s skyline and one of the main Shanghai attractions tourists like to photograph from the Bund across the Huangpu River. If you are still wondering what to do in Shanghai exclusive Pudong district, Century Boulevard, Century Park and Shanghai Science and Technology Museum (Shànghǎi kējì guǎn) are all within walking distance of each other in Pudong district. Address of Shanghai’s Oriental Pearl TV Tower: 1, Century Boulevard, Pudong District. How to get to Shanghai’s Oriental Pearl TV Tower: Metro line 2, Lujiazui Station, Exit 1. You can also reach by bus (n. 81, 82, 85, 774, 789), by ferry (Lujn and Taigon lines), or by taking a tour to the Bund Sightseeing Tunnel. Opening hours of Shanghai’s Oriental Pearl TV Tower: Daily 8 am-9.30 pm. Entrance fee to Shanghai’s Oriental Pearl TV Tower: Tickets vary depending on which floors you want to visit. 220 CNY for all floors including Shanghai Municipal History Museum, 160 CNY for floors 1 and 2, and the museum, or 35 CNY for only the museum. I know I’ve already suggested shopping was one of the top things to do in Shanghai, but Nanjing Road deserves a place on it own. Always packed with shoppers, both tourists and locals, it is Shanghai’s shopping Mecca. Here you will find the best brands and flashy shopping malls, exclusive restaurants, fast-foods, as well as delicious smaller eateries in the back streets. Nanjing Road is more than 5 km long, but thankfully there are metro stations in different parts of it so depending on where you want to go, you pick your metro line. One of the activities I loved the most in Shanghai was to goo tea tasting. Whether it was a tea market or a fancy tea house, I truly enjoyed the ritual. Learning the art and history of tea making, tasting and drinking is what to do in Shanghai if you are into discovering the local culture. READ MORE: Discover how I learnt about the tea ritual in Shanghai. 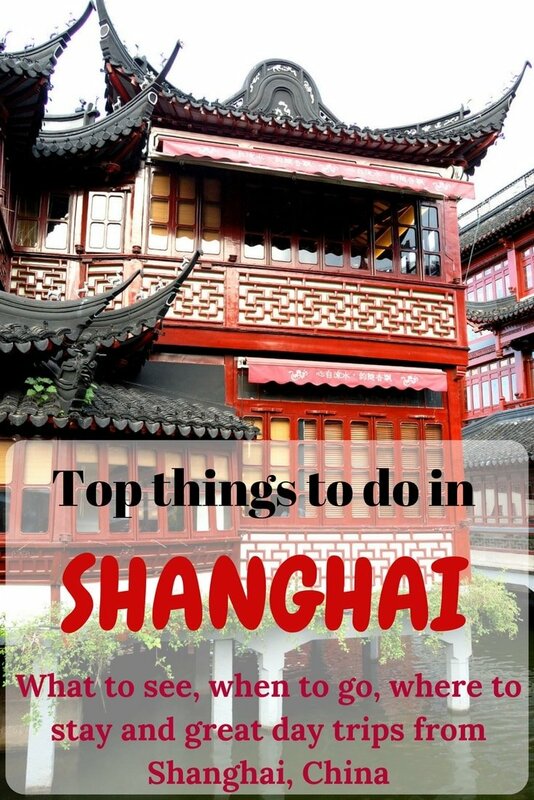 One of the coolest activities in Shanghai is to explore some of its neighbouring towns. Gorgeous water towns like Suzhou, ZhouZhuang and HangZhou are definitely worth a day out. You can reach them by train and by bus. There, you will have the chance to visit the local temples and houses, go on a boat tour and sample some traditional food. Read more below about these towns. The Peninsula Shanghai. In a beautiful Art Déco style, The Peninsula is one of the best hotels in Shanghai. Located near the Bund and East Nanjing Road shopping street, spacious rooms featuring amenities like a large working space, a Nespresso coffee-making machine, and an iPod dock, make it a favourite Shanghai accommodation. The bathrooms include a spa and a separate shower, while the hotel also features an on-site spa, a fitness centre, an indoor pool, and delicious restaurants. Click here for details and the current price. Mandarin Oriental Pudong. Conveniently located near the subway in Pudong district, Mandarin Oriental pampers its guests with an indoor pool, five dining options, a spa, a fitness centre and soundproofed rooms complete with flatscreen TV, tea and coffee-making facilities, a fridge and a minibar among the other amenities. Jing An Shangri-La. One of the favourite luxury hotels in Shanghai, Jing An Shangri-La is located close to Shanghai Exhibition Center and Jing’An Temple. This wonderful five-star hotel in Shanghai features a spa and wellness centre, an indoor pool and stylish restaurants and bars serving gourmet cuisine. Alongside the most modern amenities, the rooms include also a large working desk. Okura Garden Hotel. Not too expensive but a great Shanghai accommodation, Okura Garden Hotel is a favourite. Stylish the hotel and stylish the location in the heart of the French Concession neighbourhood, Okura Garden features five restaurants and three bars, rooms beautifully decorated in Japanese style and complete with all modern facilities, an indoor pool, a tennis court, a gym, a beauty salon, and free WiFi. Shanghai attracts tourists and business travellers all year round, but if you can choose the time, I suggest not to go in summer as it’s very hot and humid. Winter is pretty cold, but still more bearable than summer. Autumn is humid and rainy, while, weather-wise, spring is the best time to visit Shanghai. READ MORE: Learn some useful tips to plan your first trip to China. Suzhou. One of the best day trips from Shanghai is certainly to Suzhou. An enchanted town west of Shanghai, Suzhou is famous for its canals and wonderful rocky gardens Chinese-style, among which worth a visit are The Humble Administrator’s Garden and the Lion Grove Garden. Some 42 per cent of the town is covered with water, and this is one of the reasons why it’s known as the “Venice of the Orient”. Built in the 6th century BC, you will love your day trip to Suzhou. Hangzhou and Qiandao Lake. The capital of Zhejiang Province, Hangzhou is an interesting town that offers both cultural and natural landmarks. Alongside the several temples, in fact, here you can visit the scenic West Lake (Xi Hu) and Qiandao Lake, also known as the One Thousand Island Lake. ZhouZhuang. Another water town worth a day trip near Shanghai is the scenic ZhouZhuang, where you can visit several museums, temples and have a taste of the local cuisine. More about a trip to Zhouzhuang water town on our dedicated article. Peccato non essere riuscito a vedere tutto ciò che hai pubblicato! 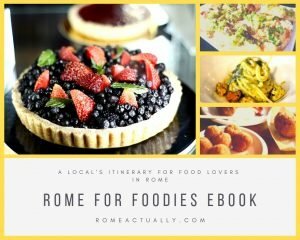 Speriamo al prossimo viaggio! La prossima volta, era un po’ troppo da fare tutto in un mese! La prochaine fois tu seras mon ” cicerone” à travers la ville , il me semble que Shangai n’a plus de secrets pour toi! Compliments!!! Merci mamine, la prochaine fois on va tout voir! Great article! Peppered with so many nice photos! Definitely changed, but you’re right it makes my blood boil. To be fair, it was both Europeans and Americans who didn’t want Chinese in their parks, pretty horrible since not only were they in China, but they didn’t really show a good sense of humanity. great article and photos. I especially like composition of the “Shanghai Laundry”. That’s cute, you see laundry hanging everywhere in Shanghai, they don’t really care if they are exposing their underwear to the world! I love your photos of Shanghai! So great to read about a city from someone who knows it so well. I loved Suzhou. It was so beautiful and green! Beautifully done. The descriptions of the old and new Shanghai, the water towns, the people and the culture are all very interesting. The photos really capture the essence of your article. Fantastic photos and narrative to accompany them. I visited Zhujiajiao and Suzhou when I was in Shanghai! The contrasts are striking. See the old soon, however, as it won’t be around for long. Actually it’s more complicated, they are trying to bring up as much as they can of their ancient history, and I was told this is also thanks to foreigners, who are showing so much interest in Chinese traditional culture and style that the government and tourist offices are all motivated in exposing their history. Great article, Angela! The photo of the paper collecting bicycle is funny. I saw a lot like that too in Indonesia where I’m from, great balancing ability. Actually you know, I never managed to take a photo of the guy who fixed and made chairs, it was an unbelievable huge thing he dragged with his bike, but of course every time I saw them I didn’t have my camera with me! What a great compliation about the history of the city. I especially love the photo of the laundry on the clothes line. It really reminded me of the Shanghaiese people; they’re a little brash in their ways, but they live a laid back lifestyle where underwear in the sky don’t phase them. I missed out of Suzhou, but it looks lovely and maybe I’ll get to go next time. I wish I stayed longer. Yeah, let’s say they don’t really make a big deal out of etiquette :) I’m glad I managed to collect a lot of material on Shanghai, I’m realizing that I really explored the city, but I would still love to see other museums and quirkiness! What an informative article. I can see why Shanghai fascinates you although if I were from Sardinia, I’m not sure any other place could interest me for very long! Shanghai sounds like it has layers of contradictions and unexpected discoveries. I read the novel Shanghai Girls and got a taste of Shanghai’s long history. The attitude of the Europeans and Americans doesn’t surprise me at all, Europeans have had practices like that in every colony they established and in the U.S. signs like that keeping out African Americans were legal until as recently as the 1960s. I’m so disappointed I missed Shanghai both times I was in China last year. I’d planned to take the overnight train from Hong Kong but wow, those tickets are hard to get! Shanghai’s history is definitely fascinating, and sounds so different to Beijing. I’d love to visit to compare the two. Yes, train tickets in China are hard to get, just think that when it’s holiday times they open to sell only ten days before and people queue forever! Now they put a high-speed train Beijing-Shanghai, it takes only 5 hours, even easier to get from a city to another. Next time you go to China make sure you don’t miss Shanghai, if I’m there again I’ll show you around, I so miss that city! 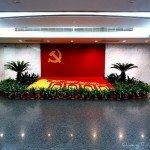 I lived in Shanghai for two years myself and really want to go back for a visit. It was one of my favorite cities I’ve lived in and I imagine it’s changed quite a bit in the 5 years since I was there; it changed so much in just the two I was actually living there. I was in Shanghai for a year and I observed countless changes too. I loved it, since I left I’ve been wishing to move back there! Wonderful post with amazing photos of Shanghai!